Dr. Marcantel’s husband, Peter, is the office manager and webmaster for the practice. 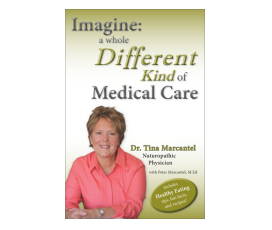 He is a retired high school English teacher and is the co-author of Dr. Marcantel’s book Imagine: A Whole Different Kind of Medical Care. Colleen Carl is a certified Medical Assistant with over ten years of experience working in the healthcare field. She handles our scheduling and front office duties and will be happy to answer your questions about our services! Just as we can receive information or tools when we connect to the Internet, when we allow our minds space we can receive knowledge and guidance from our souls that are connected to the Divine. Many diabetic patients think their symptoms are “under control” because they are taking medications to keep their blood sugars within acceptable levels, but addressing the root cause is a better approach.